However, Carignan’s main claim to fame was its potential for high yields. It was regarded as a poor quality grape – tough, unyielding and lacking in charm, a cash crop. 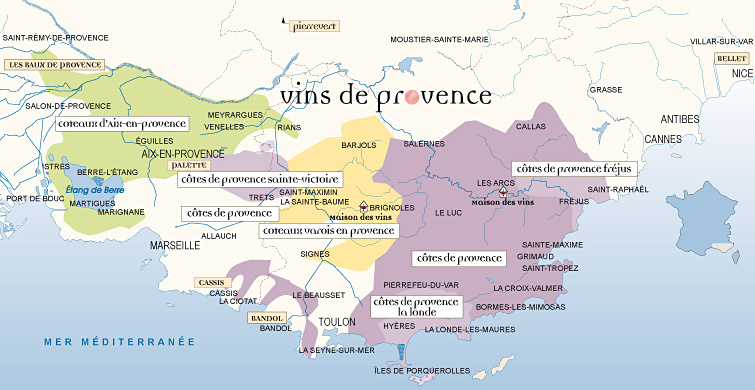 Efforts to raise the quality of wine in Provence led to changes in the appellation regulations in the 1970s and restrictions in planting Carignan. As a result, much of the Carignan vines in Provence date from the 1970s or earlier. Carignan is rarely included as a major variety in rosé. Grapes for rosé are generally harvested earlier than red wines, and the Carignan grape’s natural acidity means that in a rosé it can appear harsh and green. However, a small percentage can add freshness. With the dramatic rise in popularity of rosé wines in Provence – in 2015 up to 90% of production – Carignan has less and less of a role in the region. However, there are a few enterprising producers who do appreciate this variety, and its popularity is (very slowly) growing, but often with little publicity. Some producers make Carignan for domestic consumption. Some find it hard to sell – the variety’s poor reputation stands against it and there was some surprise when I expressed interest in trying Carignan. To achieve sufficient ripeness of fruit to balance the acidity and tannins, Carignan needs good hot summers to shine. Some producers only make Carignan wines in good years. Others use carbonic maceration to soften the wine, others blend in other varieties. For this survey I have not included any wines with less than 50% Carignan. These wines have been tasted over a period of time, depending on availability; date of tasting has been included. Domaine Eole is located on the northern slopes of Les Alpilles in the region of Les Baux, but is in the Coteaux d’Aix appellation for historical reasons. The vines are 50 years old with a low yield of around 20hl/ha. The vineyards are organic, the soil dry with chalky gravel. With Carignan being a late developer, the harvest is late in the season, so a good autumn is required for final ripening. They only make 100% Carignan years in good years, such as 2007 and 2011. Winemaker Matthias Wimmer is hopeful that the 2014 Carignan will taste good enough to be made as a single varietal wine. Following a manual harvest, the Carignan is destalked, the grapes are gently crushed, the cap pushed down at regular intervals during maceration over 12 days. Fermentation at 30-32ºC. The wine is aged for 18 months in cement tanks. 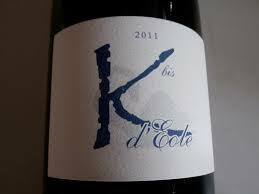 Kd’cole bis 2011 14.5% alcohol. Very mineral on nose. Wild raspberry, tannic, deep dark, structural, but austere. Not fruity. Tasted June 2014. Tasted again May 2015 – more gamey, leather character with mineral austerity and amazingly long fresh tannins and acidity. Tasted blind, a number of tasters thought the tannin and acid structure reminded them of north west Italy. One of several estates owned by the Sumeire family. This estate is located within the new appellation of Pierrefeu, just north of Toulon. Red Afrique 2012 Carignan 80%, Syrah and Cabernet Sauvignon. The 20% Syrah and Cabernet Sauvignon gives more black fruit character. Buttery mineral tannins. Moderate weight. Tasted March 2014. Newly created co-operative established after the merger of three smaller co-operatives in 2012 in the Draguignan-Flayosc region. They make a range of varietal wines: Cabernet Sauvignon, Merlot and Carignan. 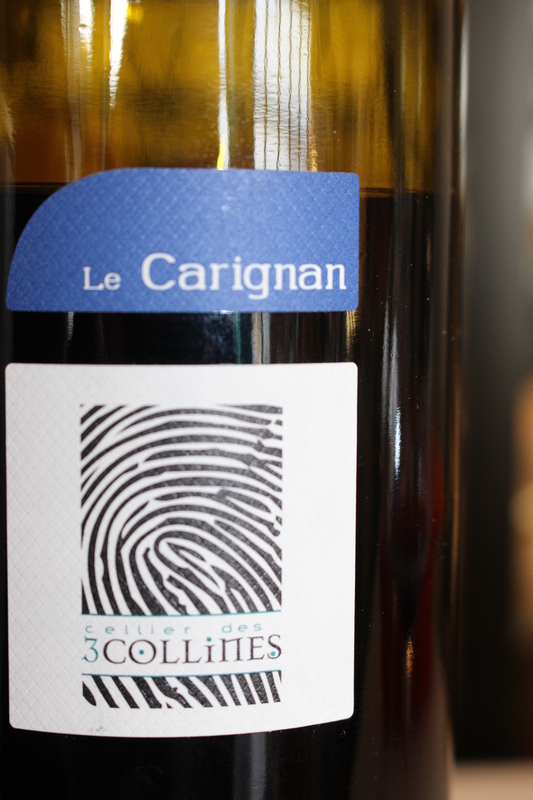 The Carignan is made with carbonic maceration, to soften the tannins and emphasise the fruit character. However, they find the wine difficult to sell off the shelf, so encourage customers to try and taste the wine. The wine is better if opened and decanted. The wine is bottled with no vintage. Carignan (2011) Vin de Pays. Red, fresh wild berries, crisp and clean. Tasted December 2012. Carignan (2013) IGP Pale red, red wild berry fruit – raspberries and cherries. Fresh crisp acidity, moderate tannins. 12% alc. Tasted March 2015. 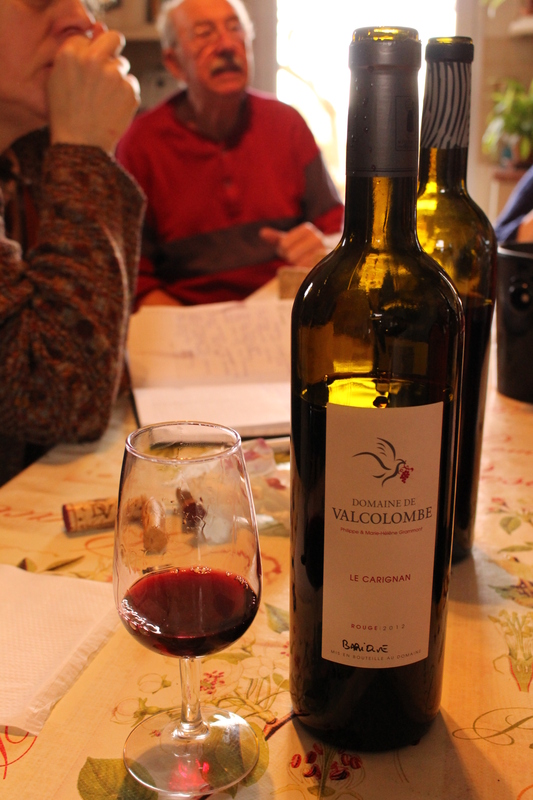 Domaine Valcombe, established in 1993, is located in Villecroze within the northern part of the Coteaux Varois-en-Provence appellation. 100% Carignan made for the first (and so far only time) in 2012 because it was exceptionally good. 2014 might be a good vintage too. As this was the first time this wine was made, Mr Grammont experimented and made two cuvées, one aged in stainless steel and one aged in barriques. Carignan 2012 (stainless steel) Dark purple colour. Ripe fruit, dry wild red berry fruit, raspberries, chewy fresh acidity. Long fresh acidity. Dry, inky tannins, austere and firm. slightly astringent. 13% alc. Tasted March 2015. 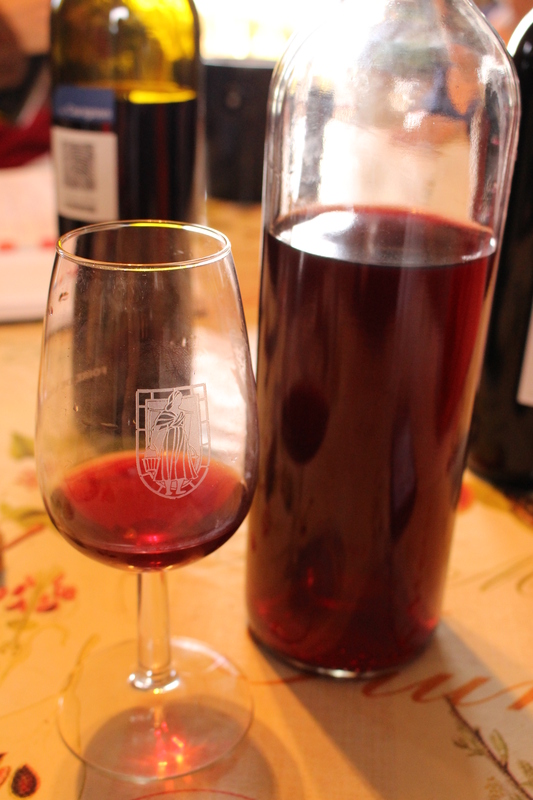 Carignan 2012 (barrique) Dark purple. Nose dominated by new oak and oak very dominant on palate. Under the oak, fresh wild berry fruit, dry, black chocolate tannins. 13.5% alc. Tasted March 2015. Domaine Valette is an old established domain in Les Arcs, managed by the same family for several generations. The Vivets do not make a commercial Carignan; they currently either use the Carignan for blending or bottle it for their own consumption. The vines were planted between 1969-76. Tank sample 2014, not filtered. Ripe raspberry fruit, chunky tannins, chewy acidity, good weight. Some minerality, savoury, good weight, young. Tasted March 2015. Domaine Barbossi is located in the Alpes-Maritimes, near Cannes. Grapes destalked, natural yeast, temperature controlled fermentation, no filtration or SO2. La Mando Red. 50% old Grenache, 50% Carignan. 12% Pale red. Toast lees nose. Thin, dry, tannic red fruit. Ripe red fruit – not unripe but just lacks the weight and richness or indeed any complexity expected from a red wine in this region. Maybe better served chilled – summer picnic wine. Tasted April 2014. Despite Provence being a hot Mediterranean region, it appears that the season is not long and hot enough (warm dry autumns are needed) to make successful Carignan every year. Too much new oak fights the varieties tannins and dominates the fresh fruit, but some older oak can give extra weight. Provençal Carignan has red wild berry fruit, firm mineral tannins and fresh acidity, with wines from good vintages showing greater weight and complexity. New Carignans on the list…. 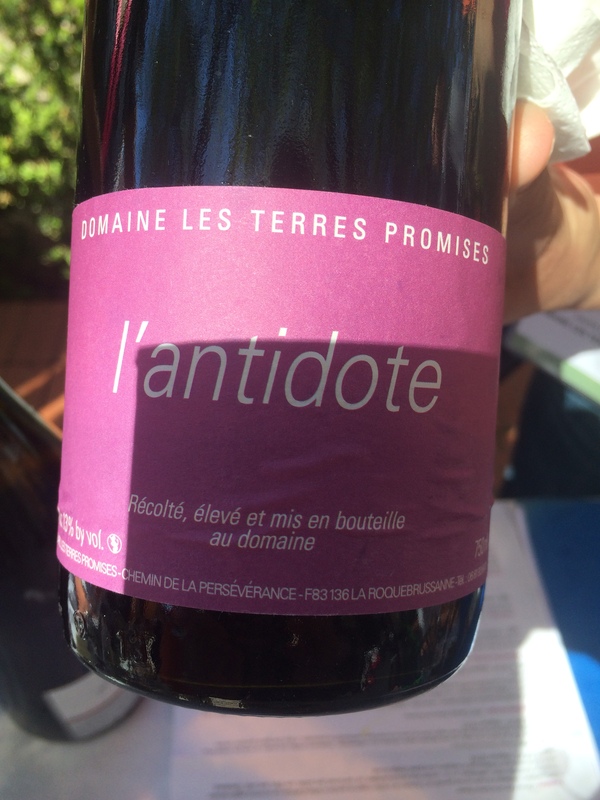 Domaine les Terres Promises is one of the more southerly Coteaux Varois en Provence vineyards, just north of the sub-appellation Côtes de Provence – Pierrefeu. The vineyard is biodynamic and owner Jean-Christophe Comor, a university professor with no formal wine training, makes his wine as naturally as he can. Wines with a high percentage of Carignan cannot carry the appellation Coteaux Varois, but have the IGP Ste Baume appellation. L’Antidote 2013. 100% Carignan, 40 years old, grown at 400m. Long fresh acidity with ripe wild berry red fruit and firm mineral tannins. Au Hasard et Souvent 2014 (only bottled in magnum) Vieux Carignan with 20% Mourvedre. The small amount of Mourvedre gives intense black fruit, backed by the fresh acidity of the Carignan. Rich black fruit, ripe tannins and long acidity. Carignan Blanc 2014 IGP Ste Baume. 3 weeks maceration, aged in a mixture of one new barrique and the rest in older demi-muid. Dark gold colour with amazingly fresh acidity and weight of round nutty fruit,. Carignan Renaissance is an association created to promote wines made from Carignan.